The recently released issue of “Persona Official Magazine #2018 DANCING!,” on May 24, 2018, includes two sets of interviews with developers behind Persona 3: Dancing Moon Night and Persona 5: Dancing Star Night. The first interview is with producer Kazuhisa Wada, director Nobuyoshi Miwa, and composer Ryota Kozuka. The fully translated interview, which includes comments from remix artists on their songs, can be read on kouhi.me. On considering remix artists: Atlus business planner Yosuke Uda used to be a DJ and is outspoken when it comes to the music scene, so he made many requests regarding the remix artists involved with the games. 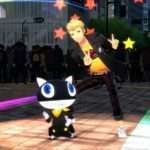 Atlus composed a list of famous and up-and-coming artists that were popular online, organized them by style of music, and made their selection based on those lists. On the rhythm game charts: Atlus wanted to update how they made the music charts from P4D to P3D/P5D, so they had Kozuka be responsible for its foundation, and he ended up creating most of the Normal difficulty charts. On the costumes: The artwork team had a lot of different ideas, with a lot of them causing conflict between the artwork team and the rest of the staff when it came to implementing them into the games. 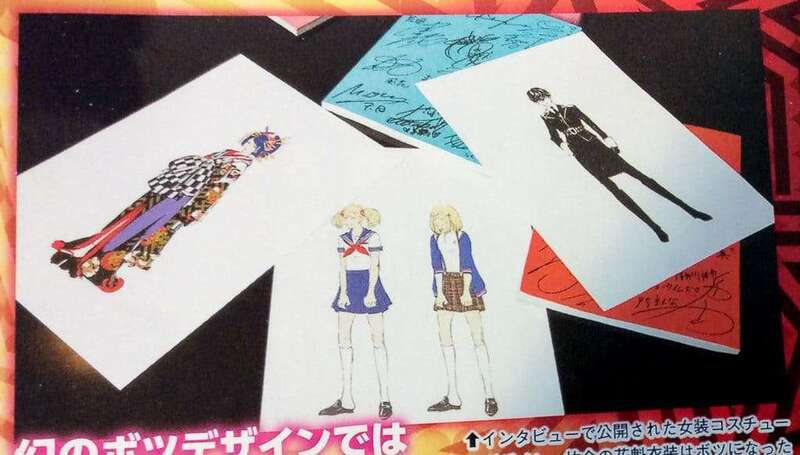 The artwork team are the ones who strongly insisted that cross-dressing costumes be added. One of the scrapped cross-dressing costume ideas was an “oiran” costume for Yusuke, which was not technically feasible. The second interview is with “Atlus Artwork Team Art Director” and character designer Shigenori Soejima, Persona Team designer Akane Kabayashi, and Persona Team designer Azusa Shimada. The fully translated interview can be read on kouhi.me. Main costume and box art designer: The one who designed all of the main costumes and was in charge of the box art was Akane Kabayashi. Azusa Shimada helped, which she had teased in a March 2017 new employee interview. 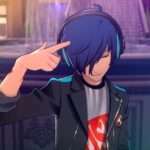 On P3D’s logo: Soejima pondered over whether to use Koromaru or Aigis for the P3D logo, but determined that Koromaru was not representative of the game. On the concept behind the box art: The main theme behind the box art illustrations was “sweat,” to evoke passion through dancing. The characters hadn’t been drawn perspiring before, and it took a lot of effort to execute on the concept. 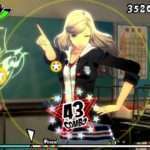 On costume design freedom: The artwork team had more freedom when designing costumes for P3D/P5D compared to with P4D, as the foundation had been laid out already. On technical limitations: The art team had to avoid making long dresses and swaying parts due to technical limitations. 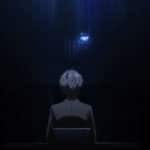 More information about the development for the recent Persona rhythm games can be found in a previous interview. 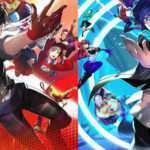 Persona 3: Dancing Moon Night and Persona 5: Dancing Star Night was released for the PS4 and PS Vita on May 24, 2018 in Japan. They will be released for both platforms in Traditional Chinese on September 20, 2018.